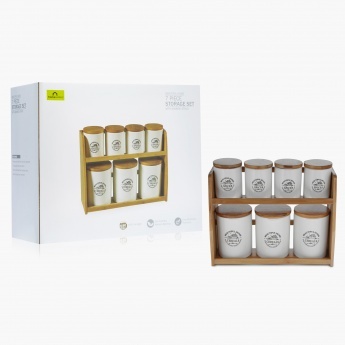 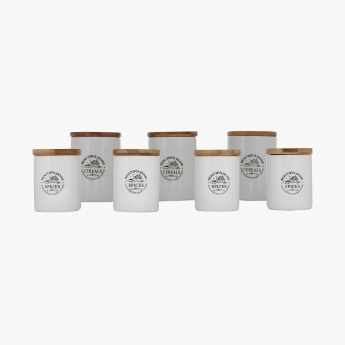 Mimosa Cannister With Stand- Set Of 7 Pcs. 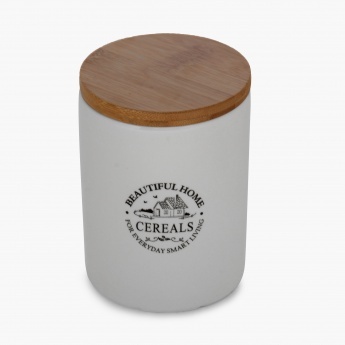 It keeps your kitchen tidy and organised. 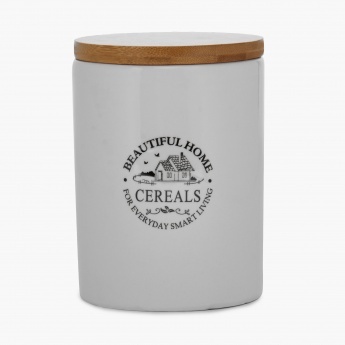 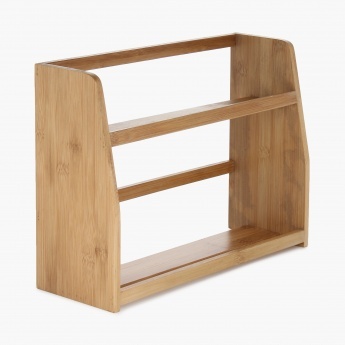 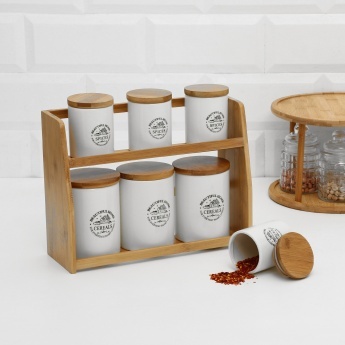 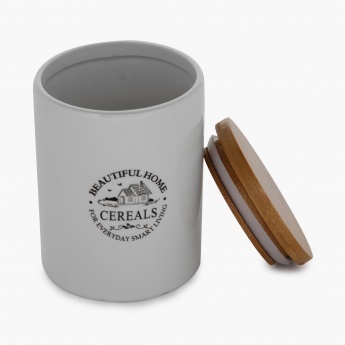 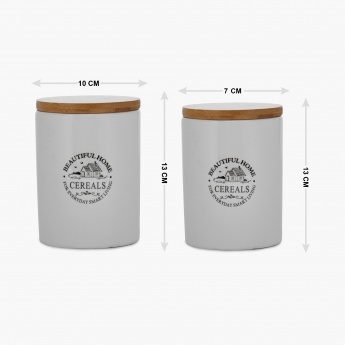 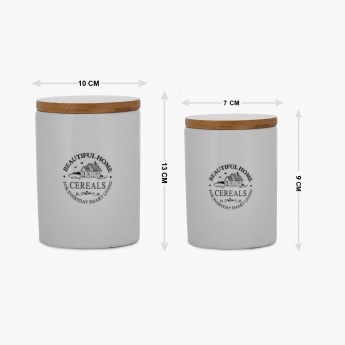 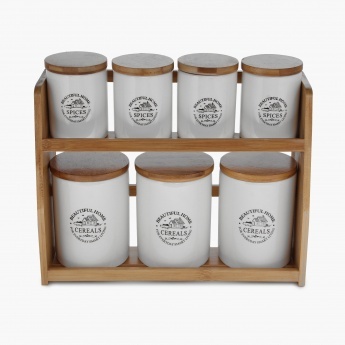 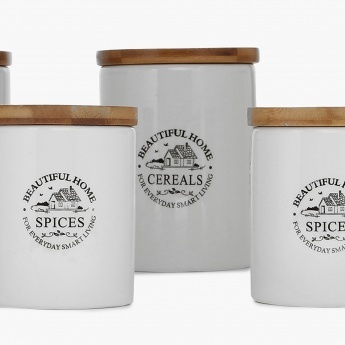 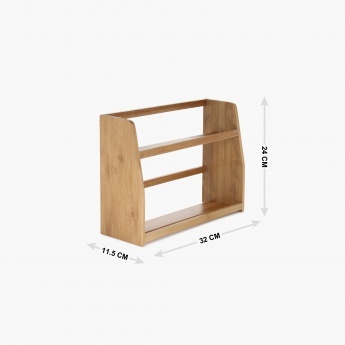 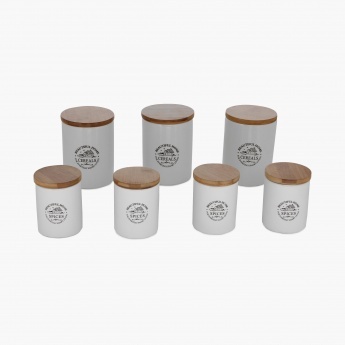 The Food grade safe canisters have sturdy and durable bamboo stand and it is extremely easy to clean and maintain.